There are a myriad of ways to move data between your Android device and computer, but the new app Scatter promises to do it better. Scatter uses peer-to-peer data syncing to send files and text from one device to the other. It's in beta, but the functionality is impressive. To get started, just install the app on your phone, and the desktop client on your PC. 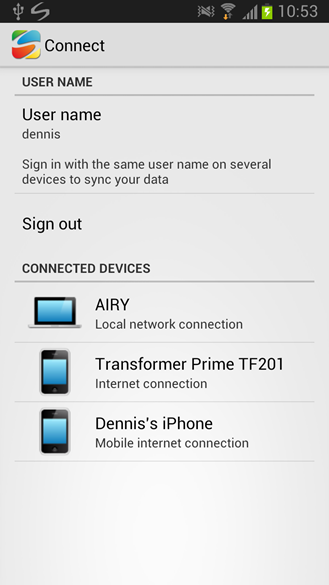 You'll have to make an account to associate your devices and keep everything in sync. From there, it's pretty easy. 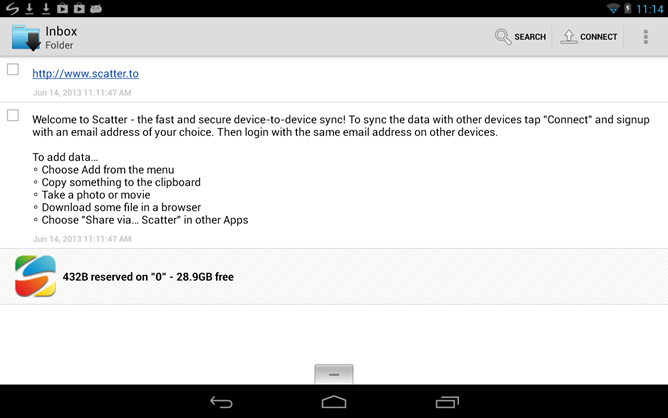 You can add files from the Android device, and they show up on the PC. 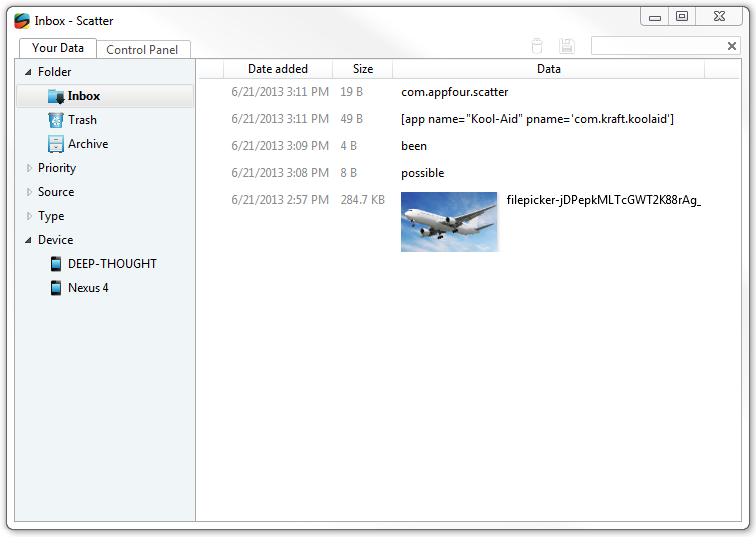 On the PC, you can drag files into the client, and they are pushed down to the phone or tablet. I'm seeing some issues with the drag-and-drop on the PC side, but again, beta. The other clever thing going on here is automatic clipboard sync. You can choose a size limit between 10KB and 10GB in the settings, then everything you copy to the clipboard on either end under that limit will be sent to the other device without any further intervention. 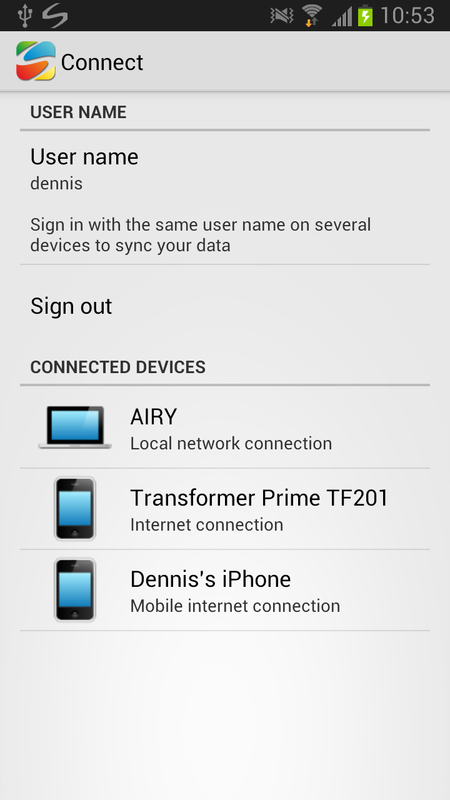 The app uses local WiFi when available, but also works over the internet. All transfers are encrypted, as well. 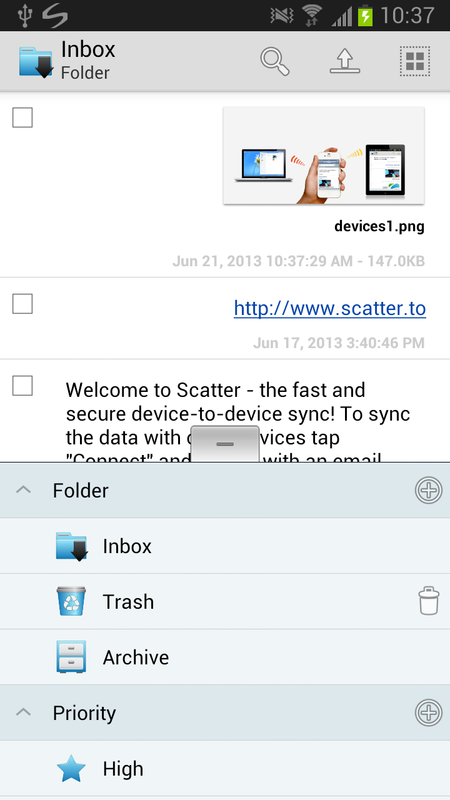 Scatter is free, but it's still a beta. I wouldn't be surprised to see a paid version happen later.